When the Knitty surprise came out last week with my newest pattern, Swink!, I was in the wilds of rural Alaska getting ready to go on a 4-day rafting trip with my daughter Selma. We had a little bit of Internet, enough for me to acknowledge the pattern on Facebook, but now that I’m home, I wanted to take a little time to chat some more about it and show you a few photos that didn’t end up in Knitty. Swink! is my favorite type of pattern–it’s calculator-style, meaning instead of guessing on which size will fit you best, you use your own measurements to make the Swink! fit you perfectly. In the pattern, I walk you step-by-step through some simple calculations that make it so the sweater zooms along without much thought or worry–no keeping track of row counts or particular sizes. We shot Swink! in Juneau with my daughter’s friend Skye as the model. Swink! looked great on Skye and we had a great time running around the city looking for places to take photos. Crocheting Swink! was a joy because the yarn was so pleasant to work with. It’s a hand-dye from right here in Juneau by A Tree Hugger’s Wife. Best of the Worsted is a round high-twist yarn that’s got great bounce. I wanted Swink! to also have nice drape and not be a close-fitting sweater, so I crocheted it at a larger than usual gauge. The result is a sweater that’s quick to make. Because Swink! 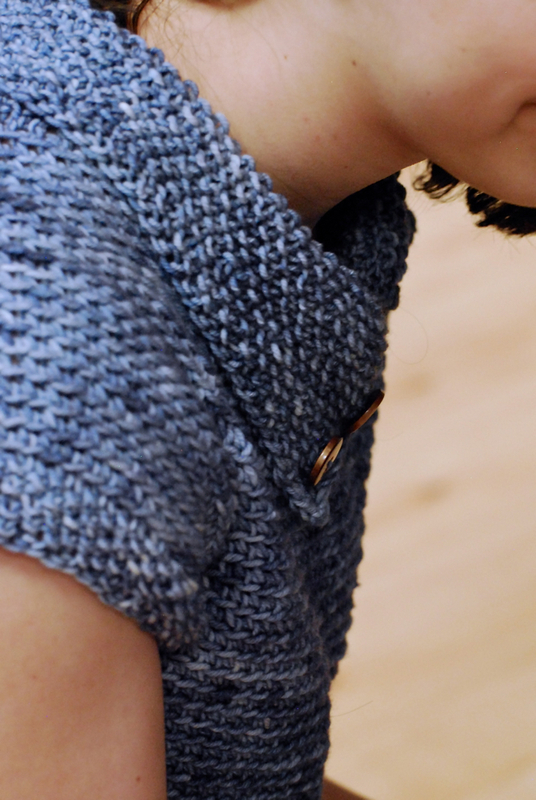 is crocheted from the neck-down, there’s lots of room for crocheters to make adjustments and change the pattern to fit their preferences on body and sleeve length–if you make a Swink! I’d love to see it. Please put a link here in the comments! 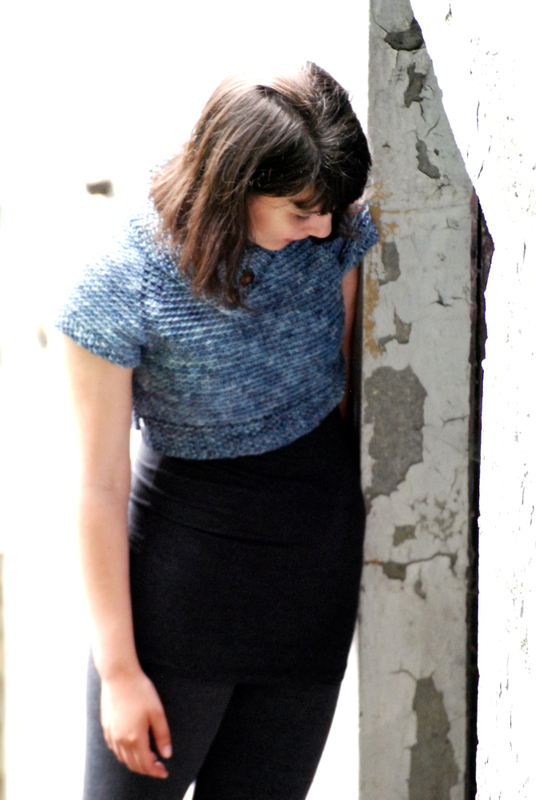 Tagged on: Amy's Patterns knitty swink!